recall of the moments and memories that define you. 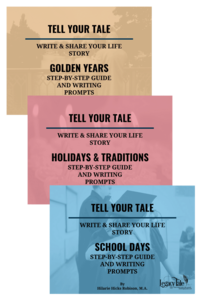 As you reflect and capture those stories from your life, you’ll find benefits for yourself and your family. 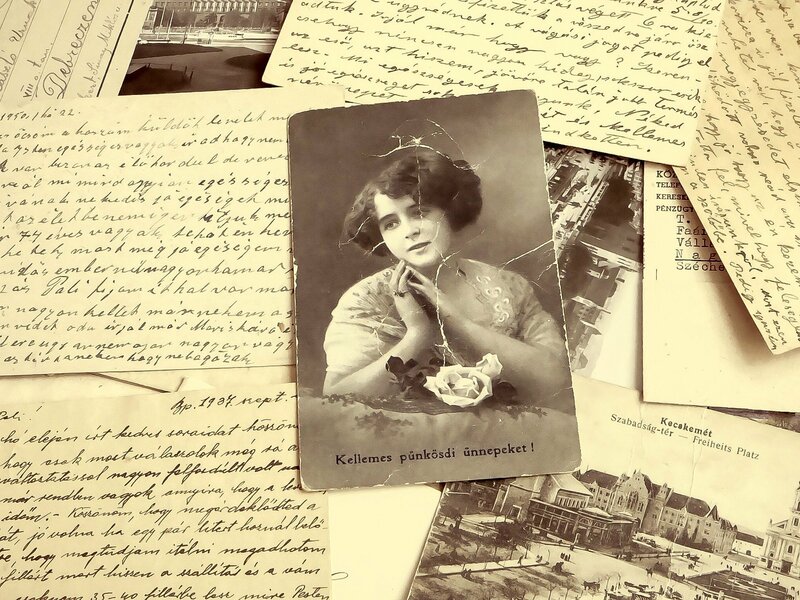 Along with writing prompts, books include specific photo recommendations and complete scanning instructions for photos as well as family documents. Individual books are $5.99 each. Or purchase all 9 books in the series together as a bundle for only $29.99! Sections 1 and 2 are the same in each book, so that each can be used as a stand-alone resource if desired. Themed topics are unique to each book. Tell Your Tale e-books are PDF files designed in landscape format for best viewing and use on a computer, tablet, or phone. They are not designed to be printed. 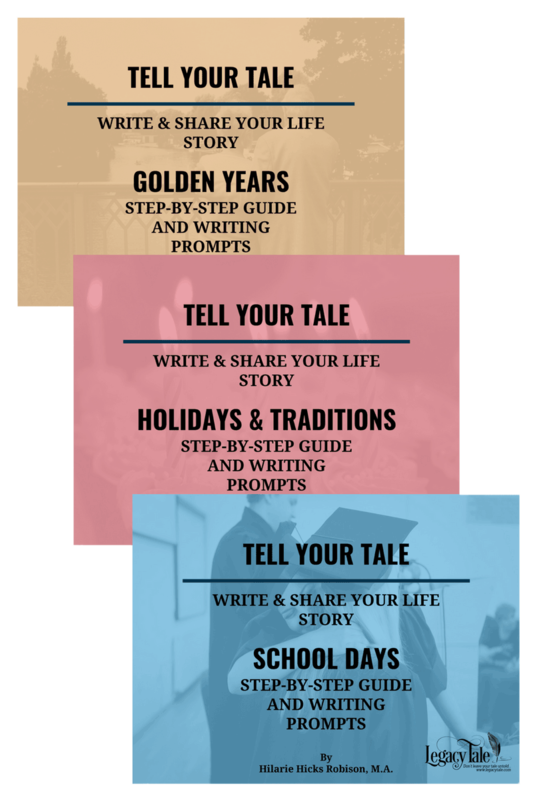 *Note that the LDS Writing Prompts book does not include specific photo suggestions for each prompt. **Legacy Tale is not affiliated with or endorsed by The Church of Jesus Christ of Latter-day Saints.